2018-2019 is the 12th season as head coach of the Penticton Vees for Fred Harbinson, and the first season after signing a five-year extension that will see Harbinson at the helm of the Vees through the 2023-2024 season. Through his tenure, Harbinson has compiled an overall record of 481-144-14-40. Under Harbinson, the Vees have won four BCHL Regular Season championships, five BCHL Interior Division championships, four BCHL Fred Page Cup championships, a Doyle Cup championship, a Western Canada Cup championship and an RBC Cup national championship. Harbinson has been awarded the BCHL’s coach of the year award three times in his career, including most recently in the 2015-16 season. 2018-2019 will be Steven’s fourth season with the Vees. Cocker looks after player evaluations, scouting, assisting in recruiting, as well as additional hockey operations duties. Prior to the Vees, Cocker was the General Manager for the Lahti Pelicans U20 team as well as having held positions with the Zurich Lions (NLA), SC Langenthal (NLB) and the Saint John Sea Dogs in Player Evaluations Consultant capacities. He holds a Bachelor of Sport Management from Haaga-Helia University in Vierumäki, Finland. In addition to his work with the Vees, Cocker is also a Part-Time Amateur Scout with the Buffalo Sabres. 2018-2019 season is Jason’s third with the Vees. Prior to going the Vees, Becker spent the previous two seasons working at the Okanagan Hockey Academy (OHA). 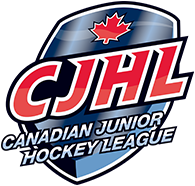 Previous to joining OHA, Jason spent two seasons as an assistant with the Prince George Cougars of the Western Hockey League (WHL). His playing career consisted of almost 450 games over eight seasons, mostly in Europe. Jason also played three seasons for the University of Saskatchewan and spent five years in the WHL as a defenceman for Saskatoon, Kamloops & Swift Current. 2018-2019 will be Matt’s third season behind the bench with the Vees. Before coaching with the Vees Matt played college hockey in Ontario for Georgian College serving as captain and player-coach during his final season. Before college Matt played junior hockey in various league across the United States and Canada from 2009-2012. Matt also played a season of Midget AAA hockey for OHA here in Penticton during the 2008-2009 season. 2018-2019 is the third season for West with the Vees organization. Prior to joining the Vees, Adam spent two seasons as an Assistant Coach for Vierumaki United in Finland’s Mestis U20 League. Adam has also worked as an Assistant Coach and Goalie Coach for NWCAA in Calgary, while working as a skills instructor for Hockey Canada Development Programs. 2018-2019 marks the seventh season for Dan with the Vees. Dan has been a Trainer for over 20 seasons during which time he has been with five league playoff champions, two regional champions and three RBC Cup semi-finalists. Prior to joining the Vees, Dan was with the Nepean Raiders of the Central Canada Hockey League. Brendon enters his sixth season with the Vees, and seventh in the BCHL. Prior to joining Penticton, Brendon spent time with Powell River. Originally from Thunder Bay, Ontario, Brendon was a part of the 2005 Lakehead University Queen’s Cup Championship team. This season marks Laura Carleton’s sixth year with the Vees and her fifth as the Director of Ticketing & Merchandise. Under Laura, the Vees attendance has reached record levels. If you have any questions about tickets, group sales, birthday party bookings, or merchandise contact her below. The 2018-2019 season is Craig’s second as Director of Broadcasting & Communications. Craig previously spent time broadcasting games for the Powell River Kings & Battlefords North Stars of the SJHL. 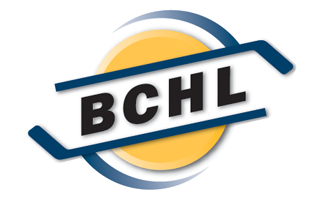 Home & road broadcasts can be heard on EZ Rock AM800 locally, as well as online at hockeytv.com.